Homecoming week is next week!!! September 29 – October 4, 2014! Remember, once a Purple Eagle, always a Purple Eagle, so be sure to show your school pride and spirit by wearing purple next week – wherever you are in the world! The AHS Alumni Foundation will have some special features for our Alumni to help celebrate this year’s Homecoming. Watch for more info coming over the next several days, but we’ll start now with our FIRST ANNOUNCEMENT……..drum roll, please……..
for the Official “After Game Meet-Up” location!!! Sue and her bar staff have created a very special signature drink to serve the night of the big Homecoming Game – Albion vs Lewiston-Porter at 7:00 pm on October 3rd – with $1.00 from each drink served to be donated to the Alumni Foundation to be put towards scholarships. She is also planning to have appetizer specials and will have entertainment to provide music for the festivities! This partnership marks the first annual Official “After Game Meet Up” location for Alumni. Head on over to The Crooked Door for dinner before the game and go back to connect with other Alumni after the game! Not going to the game? (first of all, come on — why not???) Get there early and hang out until the game ends and the others join you! Be sure to try out the great Homecoming Signature drink and support the Alumni Foundation’s scholarship funds!!! Let’s “Take 5” with Sue to find out more! Sue is an Albion HS graduate from the class of 1976. 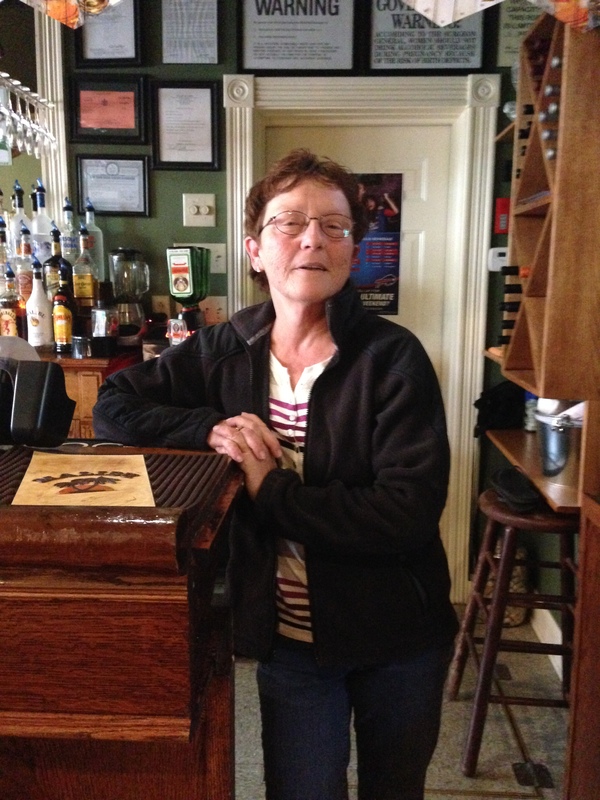 In April of this year, she purchased The Crooked Door Tavern from Joe Martillotta (AHS class of 1969 and former ACS social studies teacher) and his wife, Debbie Engle Martillotta (AHS class of 1974). 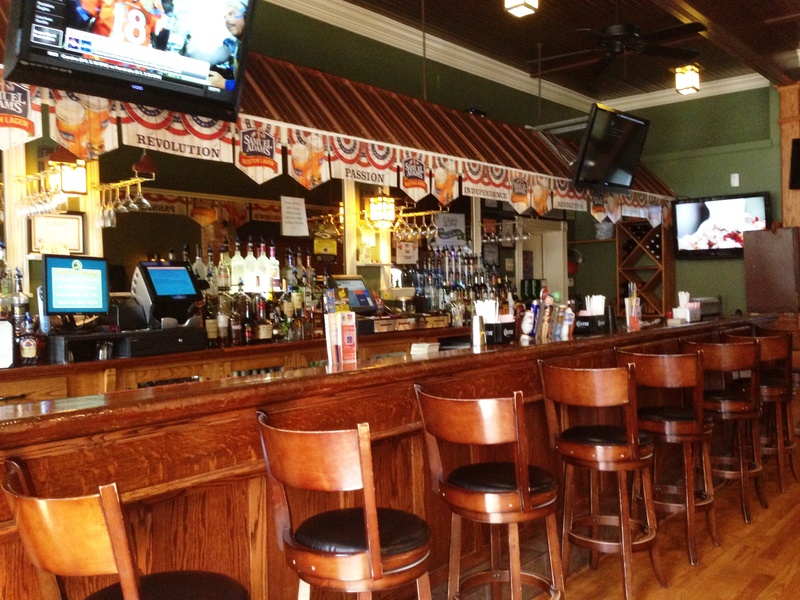 Joe and Debbie resurrected the old 469 Club into the current upscale restaurant at 469 East State Street in Albion and opened it up as The Crooked Door Tavern in January 2011. After Joe had a health scare in December 2012, the Martillottas put the restaurant on the market and looked for the right person to become the new owner. Along came Sue Holmes, who ironically also had a life-altering event occur in December 2012, and after several months of transition, she settled in as the new owner. 1. What brought you to The Crooked Door? I was working as a software developer for Xerox until they sold off their research and development and laid me off in December 2012. I decided to look for an opportunity to go into business for myself. I heard that The Crooked Door was on the market and was excited about the connection with my hometown. I grew up just down the street and remember the old 469 Club. 2. How has that decision worked out for you, so far? We’ve been doing very well – business is good and Albion needs a place like this. It has been nice to reconnect with so many Albion friends and classmates. I also enjoy supporting our community as much as I can, like this partnership with the AHS Alumni Foundation, for example. 3. So, what are your plans for Homecoming? We have developed a signature drink – the Purple Eagle-tini – that will be available the night of the big game – Friday, October 3rd. We will also have an appetizer special that evening – we’re offering $1.00 off on our spinach and artichoke dip. I have also contacted DJ Dan – Dan Spanton (AHS class of 1976) – and he has agreed to provide the musical entertainment for the evening. 4. So, tell us about this Signature drink! We definitely wanted it to be a play on the Purple Eagles and were thinking about creating a layered martini-type drink. The name of the drink is the Purple Eagle-tini and it is made with Chambord, 99 Grapes Schnapps, and Blue Curacoa. The cost will be $8.00 and $1.00 from every drink sold will be donated to the AHS Alumni Foundation to be put towards Scholarships. 5. What advice would you give Albion High School students and recent graduates regarding their future endeavors? Any last thoughts/word of wisdom for us? Don’t lose sight of your goal. You’ll fail here and there along the way, but keep plugging along. It took a year to close on my purchase of The Crooked Door – I almost gave up, but didn’t. And I’m so glad I didn’t give up! As mentioned above, DJ Dan – Dan Spanton (’76) will be providing the DJ services for our after game celebration! Dan told me that he has been doing DJ work around the area for some time and really enjoys it. He looks forward to seeing everyone come out and support the Foundation for Homecoming at The Crooked Door – it will be a BLAST!!! 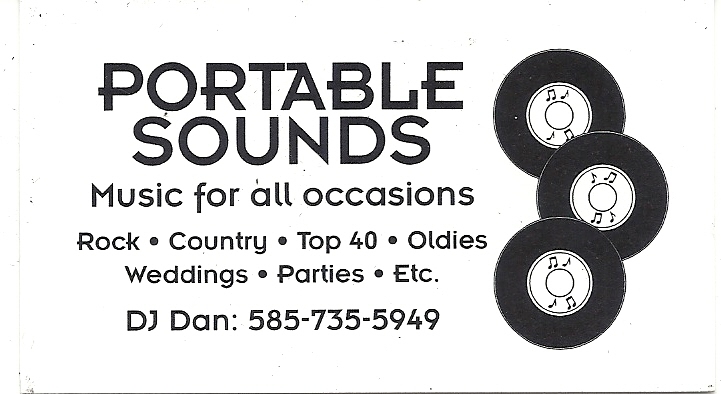 If you find yourself in need of a DJ, check out DJ Dan! 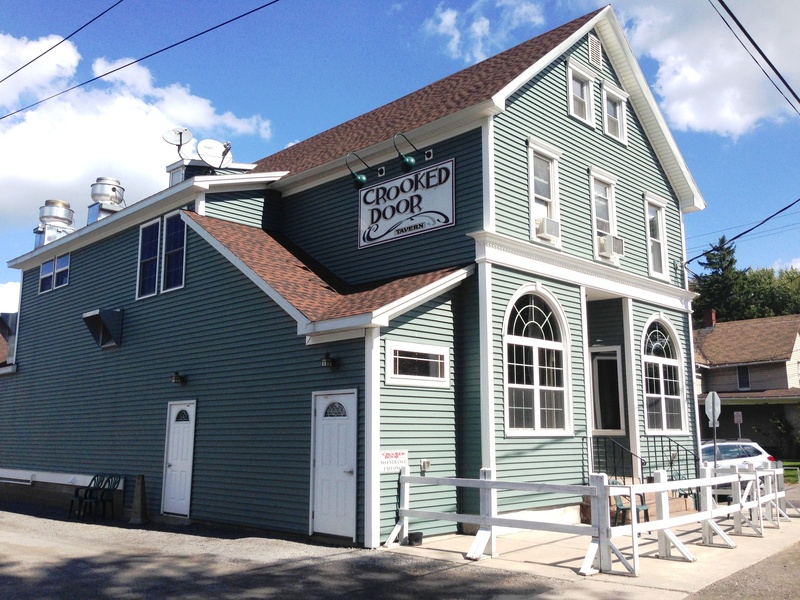 Be sure to come out and join us to support the Alumni Foundation and celebrate Homecoming at the Crooked Door Tavern – 469 East State Street, Albion, NY. 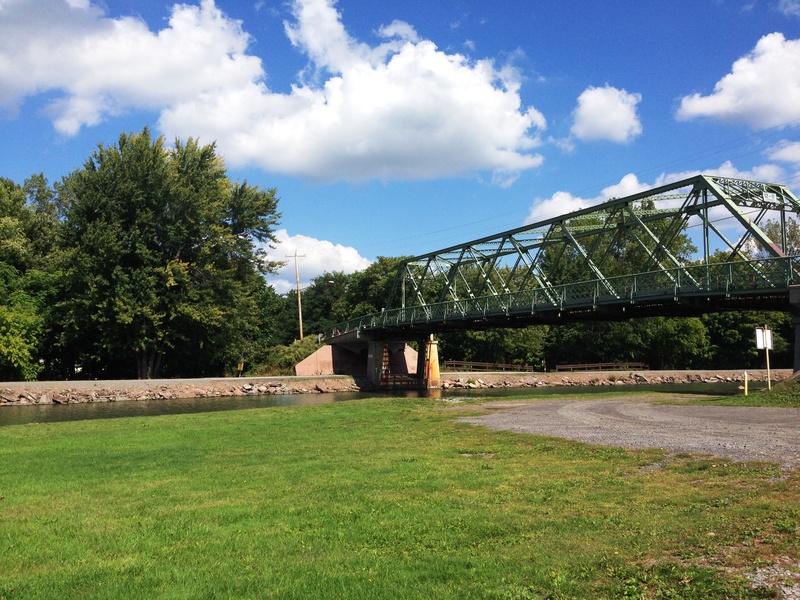 And, whenever you’re thinking of a place to dine, a relaxing drink, or to meet up with friends for great food and fun, consider the Crooked Door Tavern — locally owned by fellow alumna — overlooking the historic Erie Canal on the corner of Brown and East State streets.